For a year and a half, Amber worked on a new and innovative patient and public involvement programme for a Clinical Research Facility (CRF). 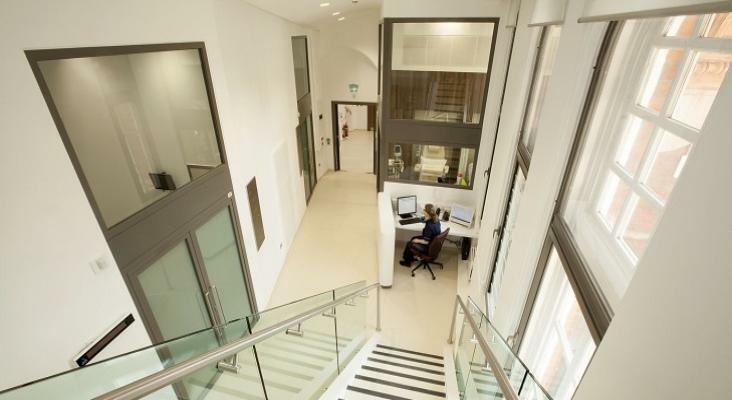 The cutting-edge facility is a branch of the UCLH Leonard Wolfson Experimental Neurology Centre (LWENC). The programme design built on the previous patient and public engagement work at her social enterprise, Movement for Hope, but within a clinical research setting. The LWENC CRF is a purpose built unit located on the Ground Floor of the National Hospital for Neurology and Neurosurgery, the UK’s largest dedicated neurological and neurosurgical hospital, and a specialist hospital of UCLH. The CRF provides researchers with the clinical infrastructure necessary to conduct high-quality research funded or Sponsored by industry or academia. Amber utilised her art and science expertise to develop a patient/public involvement and engagement (PPI/E) infrastructure that helped patients, public, and Principal Investigators at the facility to get engage with the CRF in the novel way. The PPI/E and communications programme offered a range of physical and digital activities designed to capture and improve the work and patient experiences at the CRF and to share these stories with the public. 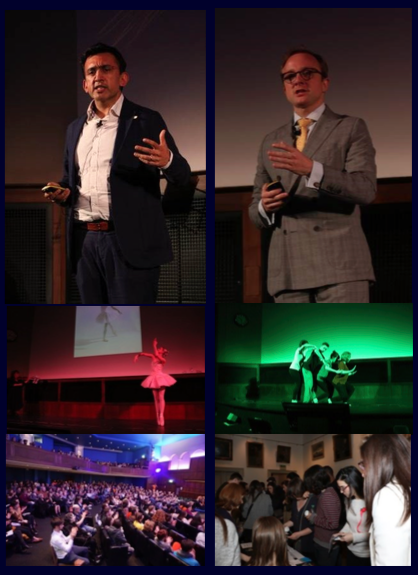 During this 1.5 year period, for 2.5 days per week, Amber organised 5 patient/public engagement activities including three research open days, and two art-science patient / public engagement events including Rewired 2017 (held at the Royal Geographical Society) and Seize the Day (held at Sadler’s Wells). 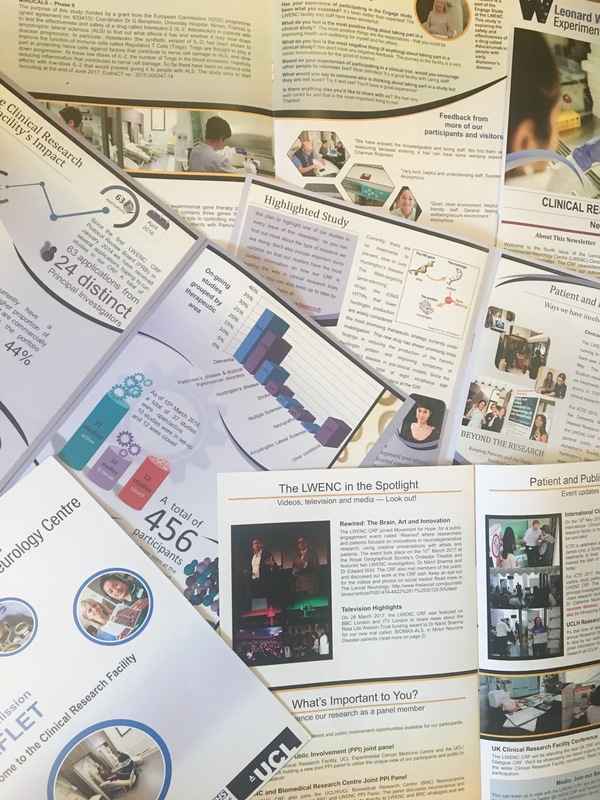 She also designed and developed new content for several works including a new patient information leaflet, and a quarterly 8-12 page magazine-style newsletters that shared the CRF’s research with the community, including summarised research, interviews with staff and patients, awards and major updates to the CRF’s infrastructure during this time. Amber also recruited and helped to organise the joint UCLH/UCL Biomedical Research Centre and LWENC patient/public involvement panel, which discusses new opportunities for panel members to get involved in research, network, and impact the BRC and LWENC strategies. She also recruited patients for a new panel with the LWENC and the Comprehensive National Institute for Health Research (NIHR) CRF. Amber also captured quantitative and qualitative data for the CRF on their patient/public user experience including the testimonials and comments from patients for annual reports and media (a brief example is below from a 2017 newsletter publication). She also contributed to a £6.5 million NIHR award by outlining the initial PPI/E strategy and digital storyboard for the executive teams to update for the grant. She initiated a new social media stream for the CRF and created a new website and then re-designed it using Silva and Indigo respectively (their current website is being managed by UCL staff). Amber also photographed for the CRF for public facing research communications and documents. 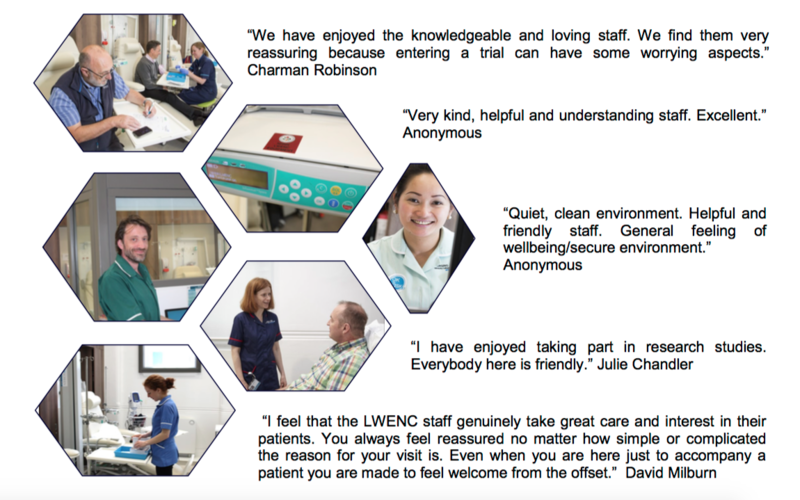 To find out more about LWENC CRF and how the programme is developing visit their website here.